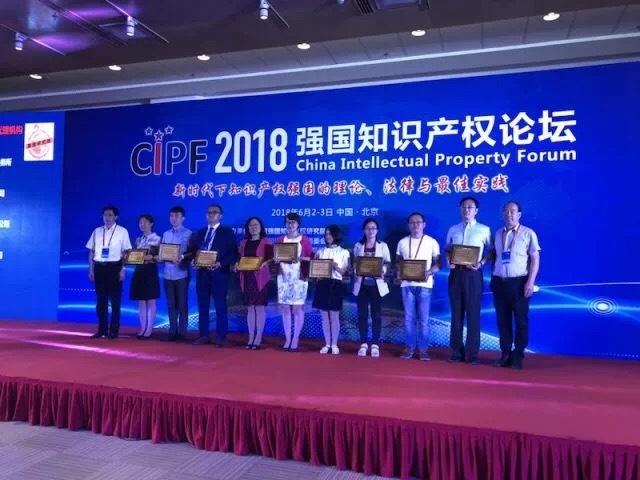 On June 2, 2018, the 5TH China Intellectual Property Forum (CIPF) was held in Beijing. 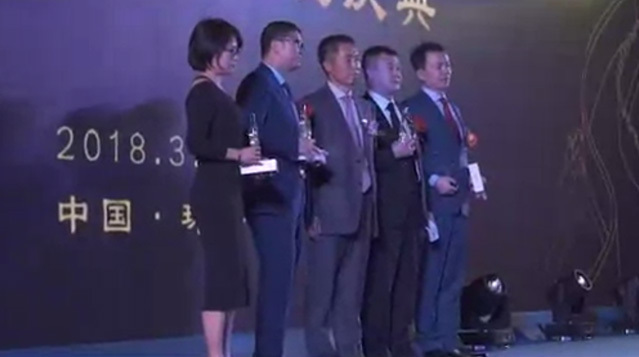 During the Forum, the organizer Beijing Power Nation Intellectual Property Institute held an award ceremony and respectively presented the “Global Leading Enterprise Award”, “Outstanding Manager Award”, “Top Ten Lawyers Award” and “Top Ten Agency Award”. 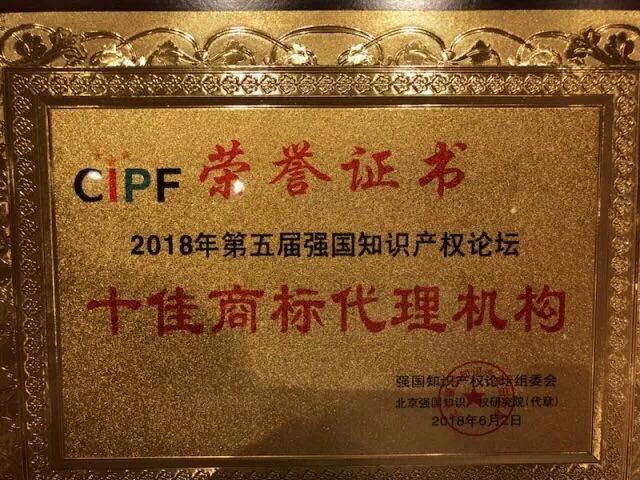 Chang Tsi & Partners was awarded "2018 Top 10 Trademark Agency". Beijing Power Nation Intellectual Property Institute is a communication platform for Chinese large-scale industries in the administrative, judicial, industrial and financial fields. The institute engages 220 renowned experts to form an instructor team, puts forward IP ecological research models, and provides solutions and suggestions. China Intellectual Property Forum is an unofficial IP forum featuring the largest scale, the widest range and the strongest brand influence in China. Since 2014, the CIPF has been held for five consecutive years. In 2018, the theme of the Forum was "Theory, Law, and Best Practices of Power Nation in the New Age." A total of 400 government officials, judges and industry elites, over 500 prominent lawyers and agents and more than 1,000 companies attended the Forum in 2018. In recent years, Chang Tsi has received many honors - among them "Tier 1 Intellectual Property Firm” by Legal 500 Asia Pacific, “Recommended Intellectual Property Firms” by Chambers Asia Pacific, “Highly Recommended Intellectual Property Firm” and “Highly Recommended Dispute Resolution Firm” by Asialaw Profiles, “Outstanding trademark agency” by China Trademark Association (CTA), etc. Now, practice areas of Chang Tsi & Partners include intellectual property, litigation and dispute resolution, corporate law and other related legal services. Furthermore, lawyers and IP agents of Chang Tsi who may work in the different branches and focus on various professional fields conduct teamwork operations and apply the advanced electronic office platform to provide customers with tailor-made, multi-level, all-round one-stop legal services.